Grab cars are seen during a launch ceremony in Phnom Penh, Cambodia, December 19, 2017. Singapore-based ride-hailing firm Grab said on Jan. 30 that it had signed a deal with business park landlord Ascendas Real Estate Investment Trust for a new headquarters in the city-state. The building, to be ready by the end of 2020, is expected to cost S$181.2 million ($135 million). The new block will house all Singapore employees, currently spread across four offices, and its largest research and development centre. 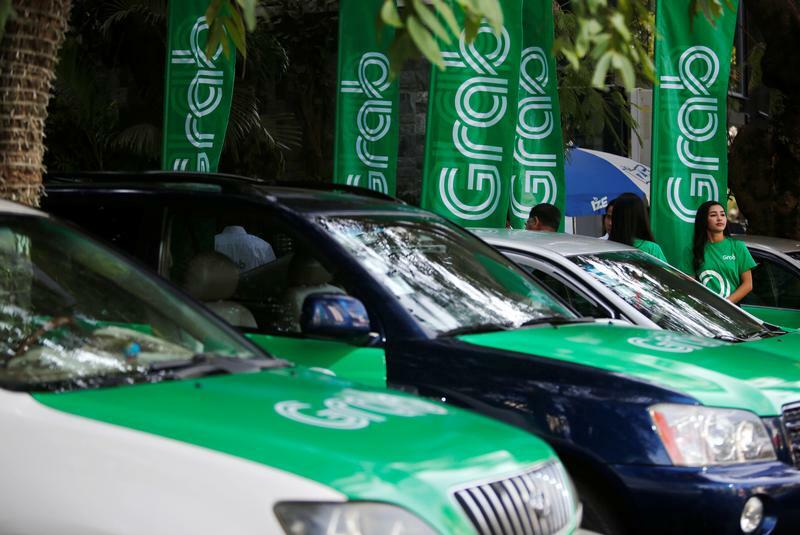 Grab has taken an 11-year lease.